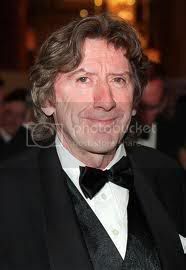 I've been dying to write something about my favourite horror author, James Herbert, for some time. Since this is a horror movie review blog and I don't really deal with literature on it, the only way I can think of working something in about "Herbie" is by briefly reviewing the movie adaptations of a few of his books. The first adaptation of one of James Herbert's novels was, surprisingly, an Australian production which still roped in the talents of the very English Robert Powell and Jenny Agutter. James Herbert didn't think much of it and claimed that he fell asleep during the screening. I can't say that I'm surprised. "The Survivor" differs greatly from the book and, in particular, Jenny Agutter plays the part of what was originally an old blind man. It's still quite a creepy film but, due to conflation, it all seems confused. The book, on the other hand, is a very straightforward ghost story and very sad at the end. I didn't see this for the first time until the middle of the '80s on a schoolfriend's Betamax video recorder. I was expecting a lot more than small dogs dressed up as giant rats! Even though some of the character names were similar, moving this out of London to Toronto and changing the story considerably meant that it had very little to do with the book. "The Rats" (2002) starring Mädchen Amick is far closer to James Herbert's idea yet he doesn't get any mention in the credits for that film. "Deadly Eyes" is an absolute abomination which can't be saved by Scatman Crothers and should be avoided. Bearing in mind that the novel started out as a screenplay for a BBC TV series, this should have been good. Also combining the considerable talents of Aidan Quinn, Kate Beckinsale, Anthony Andrews and John Gielgud could have made this a classic. Unfortunately, it's again so different to the book, with an emphasis on a ghostly love story rather than supernatural revenge, that it's just not James Herbert anymore. It's arguably the best adaptation so far but the dated effects are very weak (especially the fire scenes created with Paintbox) and all the scares have been inexplicably left out. Although the New English Library paperback edition of "Fluke" was labelled originally as "horror" eventually someone realised and changed it to "fiction". "Fluke" isn't a horror story but it certainly involves the supernatural, reincarnation, and is a pretty good thriller. Possibly making a PG version with the voice talents of Matthew Modine and Samuel L. Jackson seemed like the best way to sell the story but moving it to America killed it for British James Herbert fans. Even Eric Stoltz, Nancy Travis and Ron Perlman were involved in this so it isn't actually a bad film but it's nowhere near as effective or moving as the book. James Herbert obviously wrote far more books than these somewhat lacklustre movie adaptations might have you believe if you aren't British. He wrote a new book nearly every year as I was growing up and, because they were released near my birthday, I ended up reading and collecting all the first edition hardbacks. The Rats (1974), The Fog (1975), The Survivor (1976), Fluke (1977), The Spear (1978) - which I collected much later during my early teenage years. Lair (1979), The Dark (1980), The Jonah (1981), Shrine (1983), Domain (1984), Moon (1985), The Magic Cottage (1986), Sepulchre (1987), Haunted (1988) - which I received as birthday presents. Creed (1990), Portent (1992), The City (1993), The Ghosts of Sleath (1994), '48 (1996), Others (1999), Once (2001), Nobody True (2003), The Secret of Crickley Hall (2006) - which I bought for myself. Such was my obsession that I even bought the paperback versions in all their different incarnations (including "The Rats" for Filofax), the Sinclair ZX Spectrum computer game of "The Rats" (1985), most of the audio books on cassette and CD, and, of course, the non-fiction/biographies - By Horror Haunted (1992) and James Herbert's Dark Places (1993). As the years went by, the number of new books became considerably less both in frequency and quality. Even though it hurts me to say it, there are at least ten books in my James Herbert collection which are not worth the paper that they were printed on. I'm not going to name and shame them but I even have the updated paperback biography which I left behind in England without ever fully reading. James Herbert will always be "Britain's Number One Horror Author" and, even at his worst, he will always be better than Stephen King. I've got a feeling that he's pretty much written everything that he will ever publish now even though there is a rumour that he has written a new book - Ash - which is due out later this year.